Arise! ye starvelings… is the opening line of the rallying song the Internationale, the anthem used as an expression of allegiance to revolutionary ideals. The appropriation and re-contextualising of revolutionary and political imagery and ideas is a tactic used by artists to comment on the present geopolitical climate, creating a link between the past and the present. The combination of politics and art together investigate the undercurrents of globalization, and the fault lines opening up in the present. Each of the artists has an aesthetic framework while at the same time containing a political dimension. Their practices traverse the political through the adopting of historical symbols and language associated with revolutionary sentiments. The potentiality of their practices is to unfold the global obliquely, adapting that which is suppressed to developed imagery and discourse. Declan Clarke’s video work Red Moon engages with our encoded history, which he traces through historical events and the iconography of monuments and architecture. The degradation of the Soviet Union as a super power and its demise as a site of revolutionary thought is reflected in the city’s contemporary landscape through its fading monuments and structures. Nicolas Milhé’s Sans Titre (projection mercator) subverts the standard map. Devoid of any geographical landscape, the artist reflects on the contentious issues of territory and geography, allowing for alternative reading of both our history and our future. 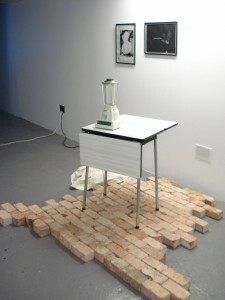 Diango Hernández’s Blender features a normal household appliance, but for Hernández it has a strong symbolic meaning: the blender mixes, pulverizes and ‘uniformizes’. 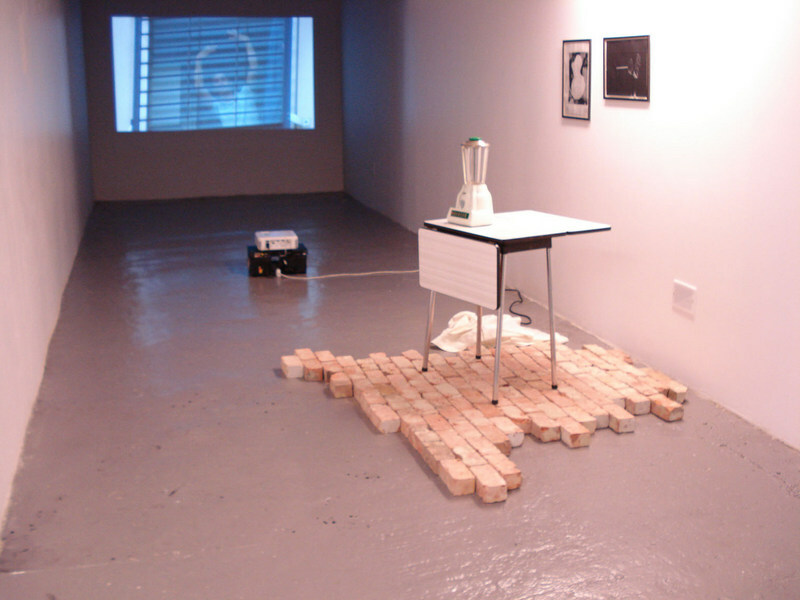 The blender is displayed on a naked brick ‘stage’, a deconstructed wall, the unity is gone, and the connection is unstable and vulnerable. The checked shirt is a code to the Cubans: employees of the Department of the Interior or the secret police wore checked shirts. It was a kind of uniform. Now they just lie next to the objects, they are ‘off-duty’, the working day is over. Stephen Gunning’s dual projection Killing time Amsterdam Penitentiary documents the inmates of a high-rise prison. Foucault spoke about prisons as the Panopticon, the ultimate realization of a modern disciplinary institution. Its structure allowed for constant observation characterized by an “unequal gaze”; the constant possibility of observation. He compared this carceral system to our schools, factories and institutions. Gunning’s piece is disconcerting as the viewer can take on the position of power, observing the behaviour of the inmates. 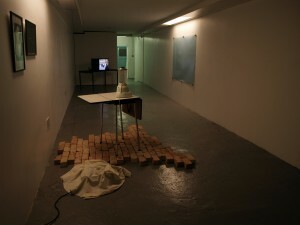 These works seek to reconnect culture to its political base, representing a strand of resistance in the absence of social revolution. They call into question established notions of society and how the present transforms its past.